The Atlanta Hawks are one of these teams I just don’t know what to think about. Are they underrated or are they overrated? Are they completely dependent on Mike Budenholzer’s intricate catch-22 pick and roll involving teams triple teaming Al Horford and leaving Kyle Korver alone on the wing or can they adapt they game to smart and athletic defensive lineups? Atlanta has two faces last season, but one thing was sure: they completely flamed out once they started losing pieces of their roster. It perpetually feels like we’re not seeing the bigger picture with them. The Hawks lost DeMarre Carroll to Toronto this summer, but I don’t believe it’s going to matter that much because Thabo Sefolosha can do what Atlanta demanded of Carroll, given that he can stay healthy. 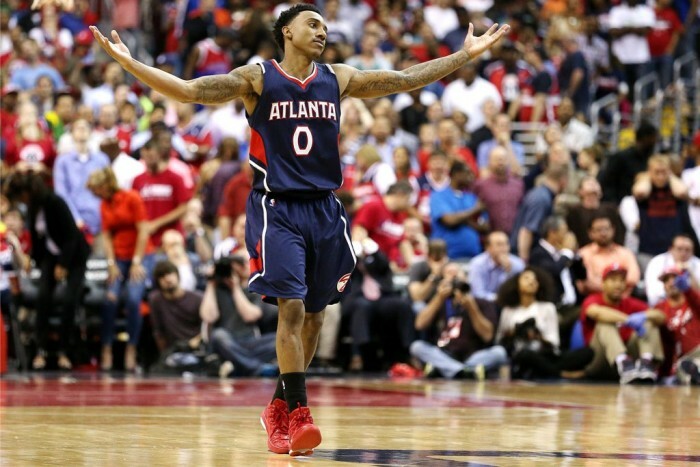 My favorite player on that roster is by far Jeff Teague, who’s blossomed as a floor general over the last two years and I think his emergence will keep the Hawks afloat this season. I don’t think they’re going to repeat their 60 wins campaign, but they’re a strong and smooth unit bound to a certain level of success in the Eastern Conference. Their bench is a little deeper too and their new big men will assure them a certain level of flexibility. I don’t expect them to get past the conference finals this year again, but they should be a fun team to watch this season still.